I thought oats had to be soaked for 48 hours ? Is it because you are using alot of acid that accelerates it ? Also, never heard the rinsing part is this needed or to remove the sourness ? I remember finding a fermented oat cereal recipe years ago I wish I could remember, I think they just drained and then dried it ? Sorry for so many questions, I love oats but have avoided them due to the 24 hours, I would love to be eating them again ! I know that using coconut flour you use alot of eggs. I can’t eat nuts so it has to be coconut flour. How do I replace all the eggs that will call for in the recipes. Please email me with your help. we are vegan. can i omit the gelatin or is there a suitable sub for that? I made these granola bars three times with oats that I had to soak and they were wonderful. It was a lot of time and energy so I bought the sprouted oats even though they were expensive. I don’t like the granola as well now, as it seems tougher. I don’t want to throw away the sprouted oats. What can I do to make them softer? I was setting up to follow a new blog and hit your unfollow button….and I can’t find a way to refollow!!!! can I replace the macadamia nuts with almonds? I don’t have macadamias. Thanks! I’m new to your website (love it!!) 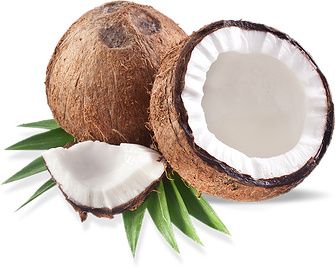 and just wondering: you’re always talking about unsweetened coconut unless otherwise mentioned? 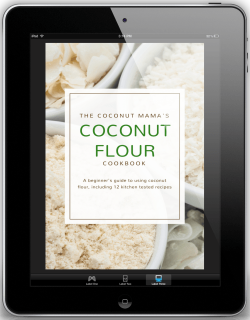 Have you ever made coconut flour bread using a bread maker? Can you interchange red gelatin in place of the green can? thanks! I made it with the red gelatin and it worked great! Do you think molasses (blackstrap or regular) be used successfully instead of maple syrup? Can flaxmeal be replaced with anything since it is high in pufa? Yes, it can be left out. It helps to make the bars less crumbly but it’s not needed. You might want to double check on the flax being PUFA. The last I checked it was high omega 3 and lower omega 6. These look so good!! I want to make them asap…but just wondering I have some Great Lakes gelatin but the beef one red can…can I use this instead of the green can? I know it gels when cold but since I will be adding it to the hot coco oil mixture would it be alright? Have you ever doubled this recipe? Thanks. Yes! I doubled the recipe and used a 9×13 inch pan. Would chia seed work in place of flax? I have everything on hand but the flax! I’m assuming the oats are rolled oats? Or have you tried this with soaked steel-cut oats? That’s all I have in my pantry, so I was wondering if steel-cut would work. I don’t have any gelatin. Does the recipe need it for structure (so it won’t crumble) or is it for added nutrition only? Thanks, it looks yummy.